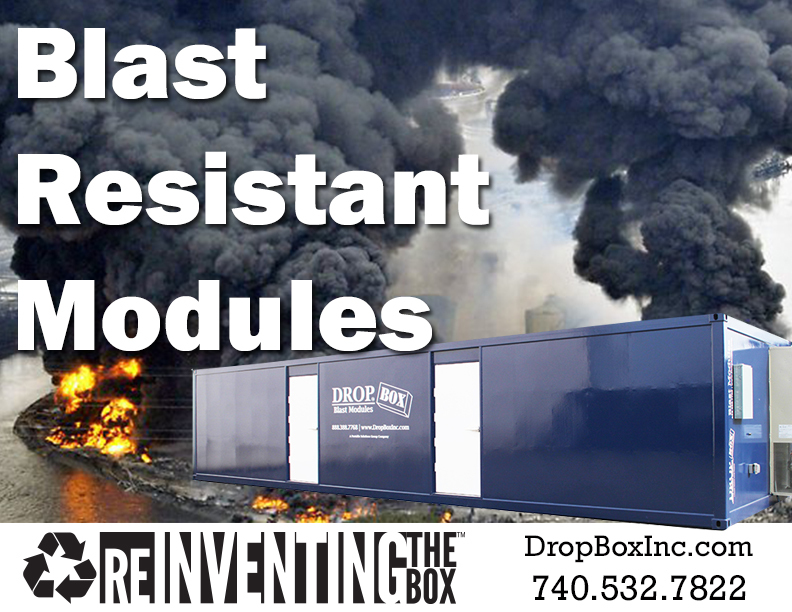 Blast Resistant Modules (BRM) from DropBox Inc. are wide-ranging. From the safety and security of your employees to the portability, turn-key setup of our BRM units, the advantages are easily understandable. 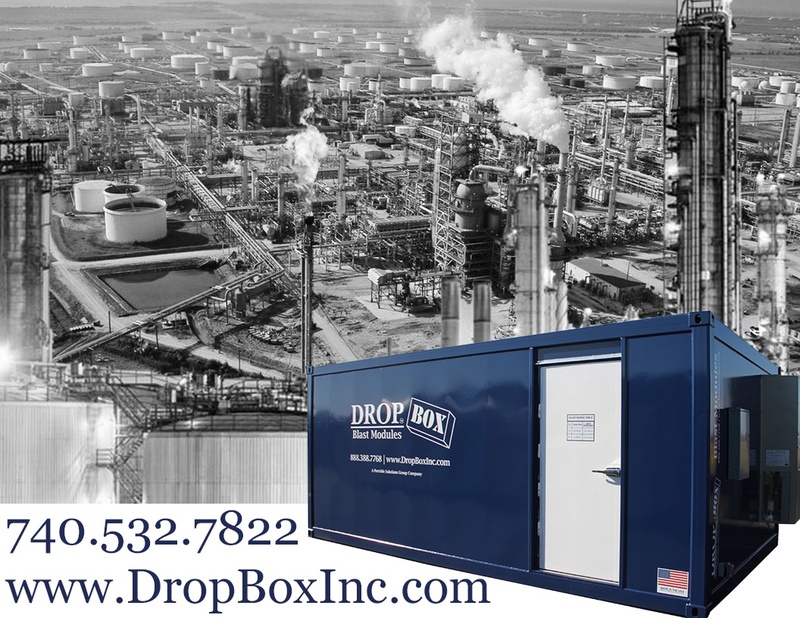 At DropBox Inc. we offer a wide range of floor plans and can ship our units anywhere in the United States and around the world. In an effort to make the process as smooth as possible for your procurement team we offer specification documents, engineering, drawings, and can provide the credentials needed to make sure you know the product you get is the product you need to keep your team safe and secure, even the the blast zone of your petrochemical plant or refinery. 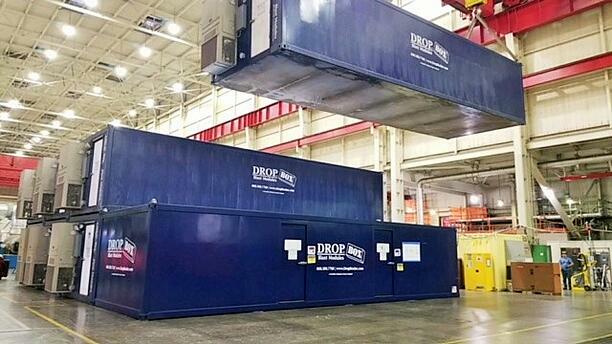 When it comes to developing an expertise in BRMs, we have worked with top structural engineers in the U.S. who specialize in ISO shipping container modifications and blast resistance to assess the integrity of our products. 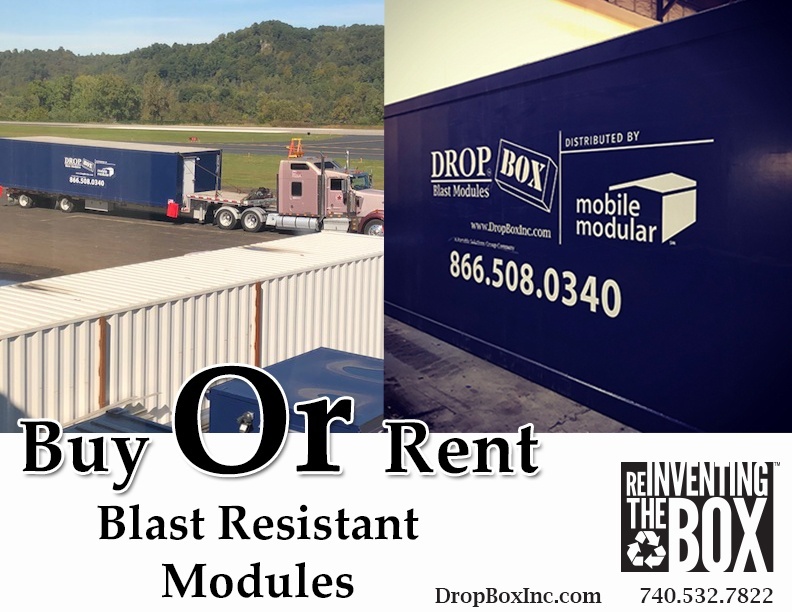 We also work with other modular rental companies like Mobile Modular, whom we have partnered with in the rental business of Blast Resistant Modules. The turn-key, portable solutions we supply for both Mobile Modular’s rental fleet and our sales team are designed to meet the inherent risks associated with work in blast zones rated 1, 2, and 3. All of our blast resistant modules are rated for 8.0 over pressure and can be used as portable temporary or permanent offices. They are ground-level and require no major onsite installation like anchoring, steps, scaffolds, or preparations. 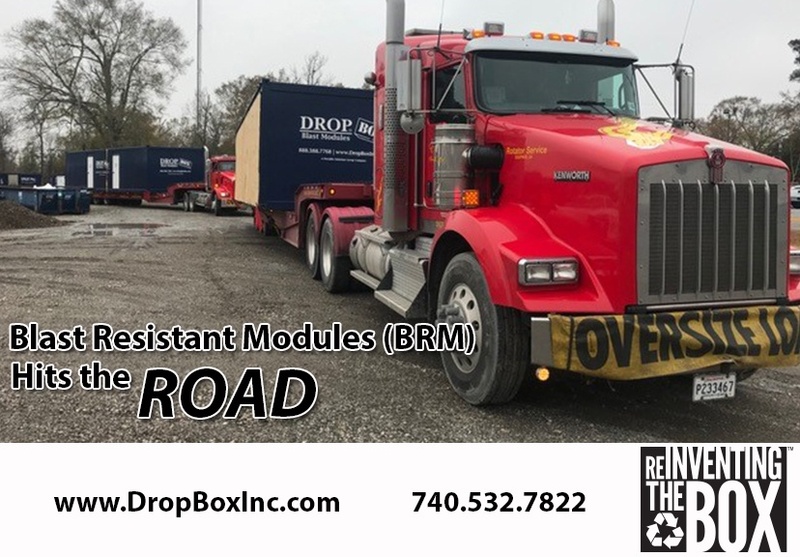 As long as your site has a level surface of concrete, asphalt, or hard packed gravel, you can have a BRM from DropBox Inc. delivered and in use within minutes of arriving on site. Visit Mobile Modular at mobilemodular.com/brm or call toll free 866.508.0340 for details, accessories, billing, payments and account services. 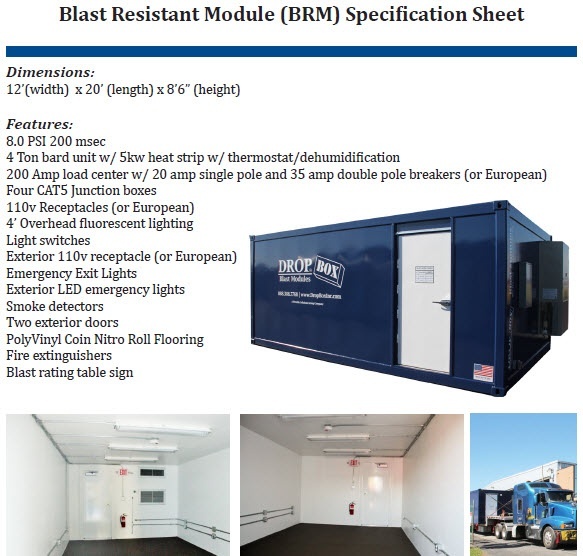 At DropBox Inc., we pride ourselves on providing excellent, comprehensive customer service with an in-house team of engineers, CAD draftsmen, and designers to ensure you get the Blast Resistant Module (BRM) you need regardless of the job site, climate, and footprint available. We offer a wide range of floor plans and can ship to anywhere in the United States from either of our locations in Kentucky and Louisiana. In an effort to make the process as smooth as possible for our customers we offer specification documents, drawings, and can provide the credentials needed to make sure you know what you're getting when you order a BRM product from DropBox Inc.
We are the most experienced shipping container modification company in the United States, and we are ready to take on your next shipping container modification project. The products we provide are portable, secure, rugged, and ready to use within minutes of arrival to your location. ISO shipping containers make the ideal framework of for any number of innovative engineering and design products. Built with solid Corten steel construction, marine grade plywood flooring, and standardized sizes for transportation, containers are the perfect building block. 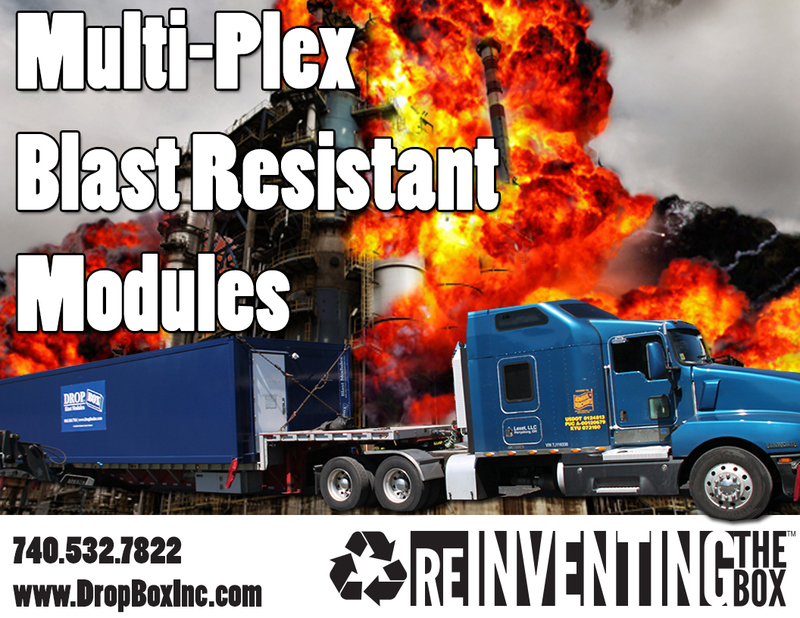 For more information about DropBox Inc. and all of our blast resistant modules CONTACT US HERE or call us toll free at 740.532.7822. 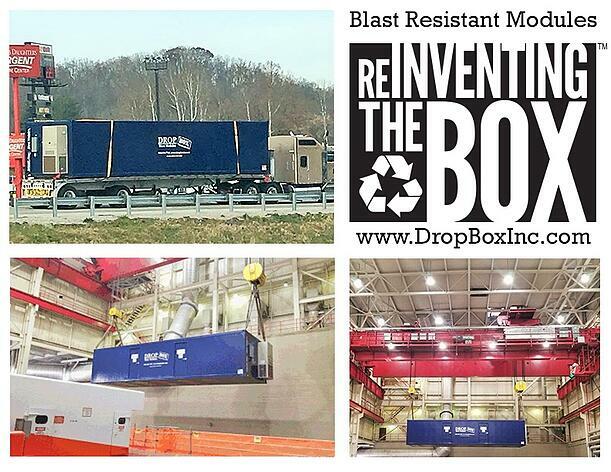 Click the Photo to see one of our Blast Resistant Modules (BRM) hit the road. The turn-key delivery of a safe and secure place for your workers in the Blast Zone has never been easier than with DropBox Inc.